It’s no secret that some conditions are more difficult to treat than others. Maybe the condition is very advanced or very complex. Or maybe the patient just hasn’t received the correct treatment, until now. I’m Dr. Jeff Hedrich and I’d like to introduce you to shockwave therapy. 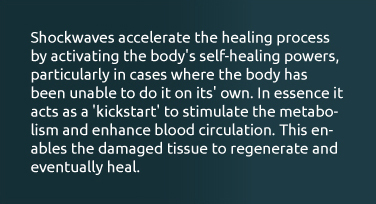 Shock Wave therapy is a time tested, scientifically proven technology that gets right to the core of the problem to stimulate healing and repair. Shockwave can be so effective that some patients describe it as magical. Lethbridge Shockwave Therapy realizes that It is important to address all the factors that lead to degeneration so that the effect is permanent. Shockwave therapy is scientifically proven to be clinically effective at resolving and treating chronic musculoskeletal disorders. 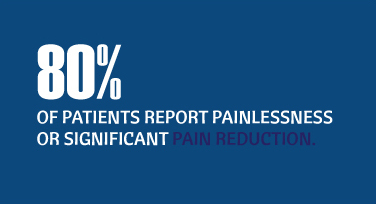 This revolutionary method provides non-surgical treatments of conditions that historically would require surgical intervention. © Dr. Jeff Hedrich. All rights reserved.